When asking yourself if VR could be dangerous for kids, it’s important to consider that there are age restrictions in place for the majority of VR headsets. However, whether or not virtual reality is actually harmful remains unclear as no definitive research has yet been undertaken. Simply put, VR has not been around long enough for us to truly know its long-term effects. However, with that being said, there are industry guidelines in place that should be followed. It is also worth noting, that even if your child is of the appropriate age to use a headset, doctors suggest a strict enforcement of a 10-minute break for every hour of VR immersion, with adult supervision advised at all times. Is VR bad for kids? When it comes to children using virtual reality, the main reasons for concern seem to surround the possible damage the headset may cause to a child’s developing eyesight. Optometrists and scientists alike are worried that virtual reality might increase the risk of childhood near-sightedness – something which has been steadily rising in recent years with the increase of computer screen exposure among children. Although this may be a worry, many big players in the VR world are putting in the time and research to ensure it’s safe, fun and beneficial to children. Google have designed VR experiences for their Cardboard headset specifically with children in mind. This piece of hardware is perhaps the most kid-friendly headset out there. As well as the obvious ease of access, a cheap cardboard headset is also very simple to use. ‘Google Expeditions’ is a VR experience that has been road-tested in schools. 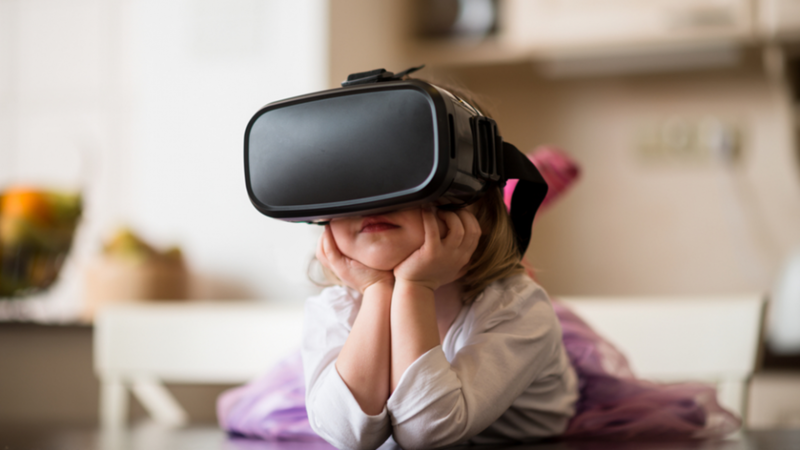 Kids can explore locations ranging from Machu Picchu to the International Space Station, all while enjoying the wonderful world of VR – a testament to the benefits of VR for children. Being the sensible mega company that they are, Google does advise that children should not be exposed to a VR experience for any prolonged period of time. Perhaps one of the clearest and present dangers of VR is one that also applies to adults: visually-induced motion sickness or VIMS. For some people, no matter what their age, VR will produce the same nausea as a rollercoaster ride. If your child has a predisposition to motion sickness, it might be wise to monitor their VR usage more carefully than you would otherwise. 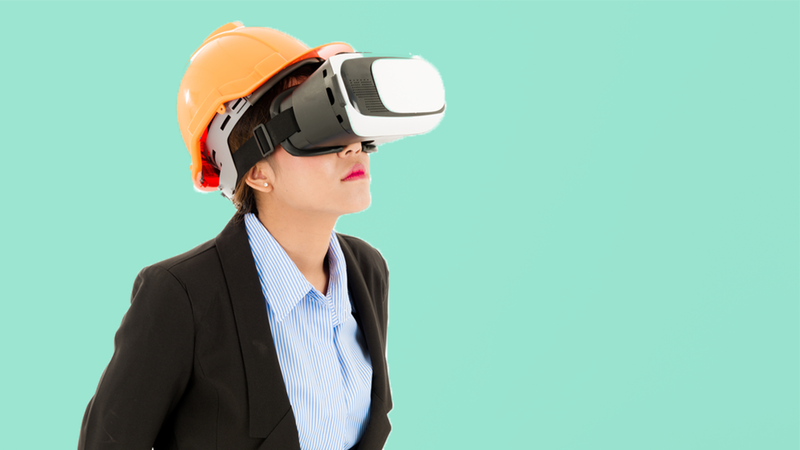 However, as VR technology gets more sophisticated, the slight spatial-visual lag that has traditionally been the prime cause of motion sickness is being eradicated. As the tech improves, even the most car sick prone among us should be able to enjoy a spot of virtual entertainment. With any new tech, there’s always going to be a few teething problems. Guidelines are established for a reason, to protect and keep users safe. As time goes on, these guidelines are likely to change. Smartphones were once a new tech, obviously, they have become so commonplace and are no longer considered a ‘new’ technology, people are less wary and guidelines are a lot less severe. Flash-forward 10 years and we could be just as relaxed about VR technology. There are even those who argue that the optic technology that goes into a VR headset is not as bad for a child as that inside smartphones. In fact, there are some leading the pro VR cry in the world of vision too. One branch of thinking suggests that virtual reality can actually benefit optometrists and their patients. This tech may help diagnose problems early on, as some VR experiences are very similar to the tools used to treat those with faulty eyesight. Whatever the current stance on VR and its suitability for children may be, one thing everyone can agree upon is the evident lack of research. At this moment in VR time, there is no irrefutable proof that VR is any more damaging to a child than it is to an adult. However, to assume this is true would be to take a foolhardy stance. Until we get the full picture on VR, being aware of any risks is key and safety guidelines should be followed. Ethical guidelines are also a hot topic of conversation in the virtual world. VR, like many techs gone before, could expose a child to unsuitable or inappropriate content. There is genuine concern surrounding the censorship of VR experiences and it is likely to remain a divisive subject. But, as with many mediums, parental controls can be applied. YouTube, the go-to place for 360 video content, sets age restrictions on its videos and the majority of VR apps offer an age rating. Utilise these tools and your child should be safer when using virtual reality. Apart from the general ‘newness’ of this tech, the lack of studies is understandable as, for obvious ethical reasons, it is hard to research anything involving children. So, for now, we have little to go on, other than some differing opinions from a handful of experts. Perhaps, only time will tell the true effects of VR on both adults and children, but in the meantime, it seems highly unfair to impose a blanket ban on VR for kids. If you follow the manufacturers’ guidelines and use common sense, then there’s no reason why your child can’t enjoy the wonderful world of virtual reality.